Recife, Brazil: bright, sherbet coloured buildings. A climate that engulfs you in a permanent, stifling hug. Kilometres of white sand beaches and azure water. 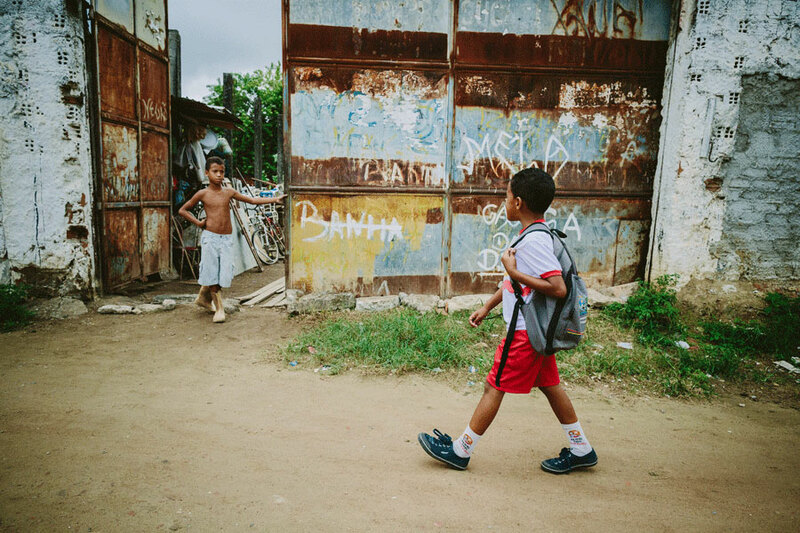 But hidden behind the great avenues and stunning vistas, there is another Recife: the Recife of violence and drugs, of families broken by the drug wars. The Recife of gunfire. 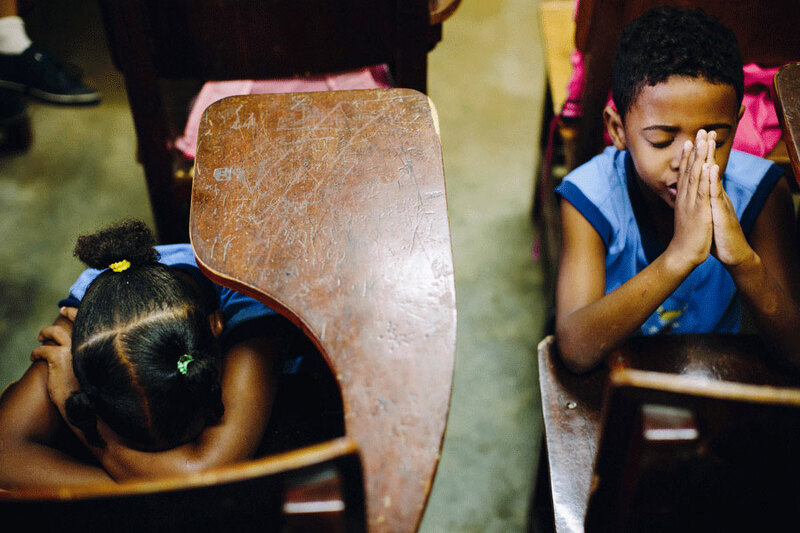 "I still can’t even listen to the fireworks," says Adriana Lima, director of a Recife Compassion child development centre. Five years ago, one of her colleagues was killed— a victim of the gang wars. "There was so much shooting, so much shooting!" Alexandre was shot as he was leaving the Compassion centre to exchange a crate of soft drink. Caught in the cross fire between two drug dealers, Alexandre was used as a human shield and killed instantly. "It was a terrible time," remembers Adriana. "It was difficult to explain to the children that God was in control. We lost a friend. Alexandre was loved by the children." Losing a beloved Compassion teacher is heartbreaking, but it is not the only thing the children have to witness. 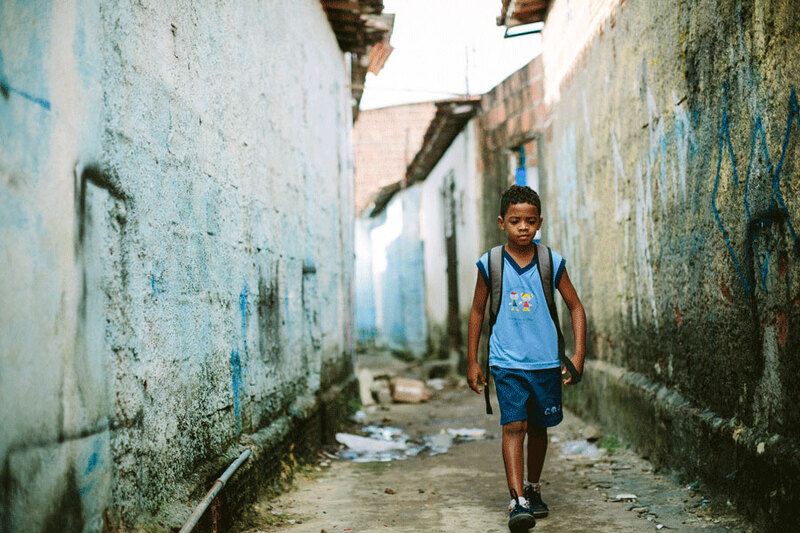 Emídio, now eight years old, has seen firsthand the impact of Brazil’s drug trade. Emídio was only four years old when he saw his mother, Michele, being arrested. Michele kept guns and drugs inside her house to earn a little money. She knew that it was illegal and that the police could come at any minute, just like they did when her partner was arrested for the same reason. Emídio and his infant twin siblings were left alone. Each child was taken in by a different relative, as none could support all four children. Emídio loves his mother, despite her mistakes. "She did the wrong thing and I know she is paying for it," was the little boy's only comment. At the local Compassion centre, Adriana walks through the building slowly, watching each step taken by the children. She knows their names, their stories, their pain and fear. "This project is a safe harbour to them," she says. 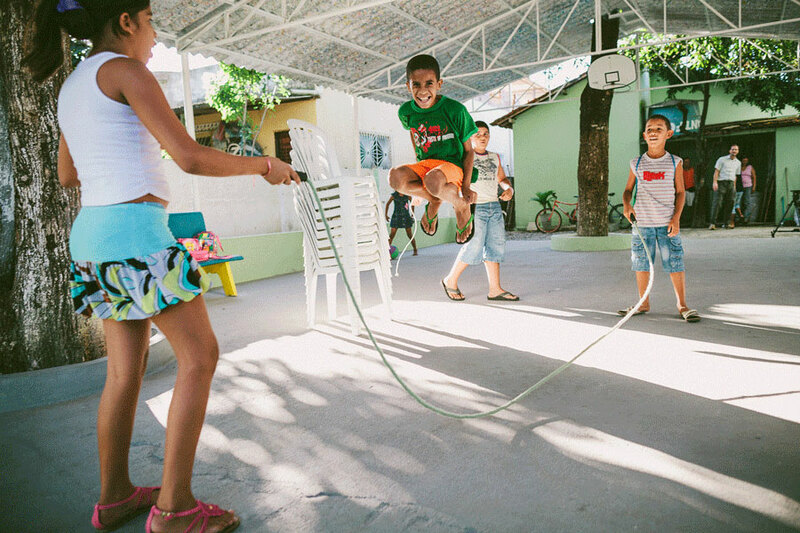 Emídio gets extra care from staff because of the hardships he’s faced. Since he was registered in the Child Sponsorship Program, staff have supported his family by visiting them and supplying their needs. "We gave, and still give, food baskets and we usually talk to Michele. We spread the Gospel to them," says Adriana. When Michele was arrested, Adriana observed Emídio and noted he was struggling, despite his best efforts to stay strong. He refused to eat, and found it difficult to play and participate in the classes. "We saw his sad eyes and we missed his smiles," recalls Adriana. "We prayed for him and always brought him over to talk. Here, at my room, he opened his little heart talking about his problems." Through the individual attention, Emídio was able to work through his feelings. "We are praying for your mother," Adriana always tells the boy. 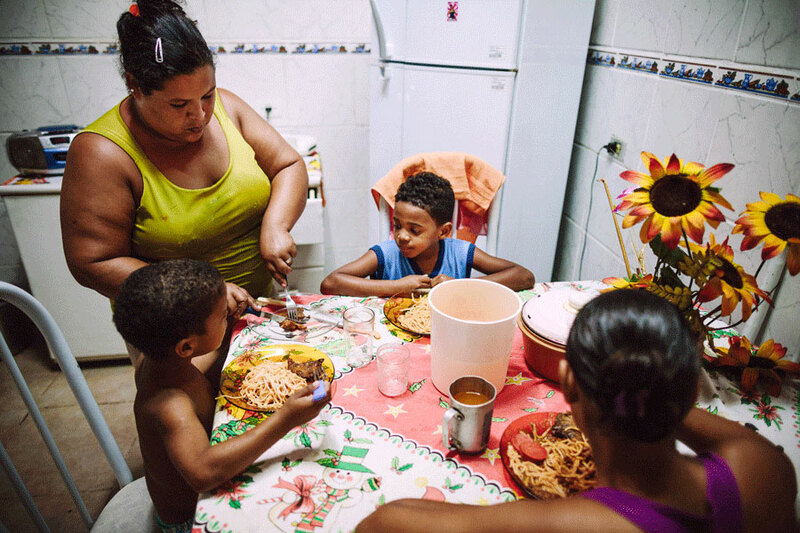 She talks about Jesus and reminds Emídio how He is taking care of him and his siblings. Inside the secure walls of the project, Emídio has the chance to show his feelings, forget about his worries and be a kid. "I like to draw and to eat Aunt Val's meals!" he says, smiling. His favourite song is the hymn ‘At the Cross’. "Jesus is my father," says the boy whose biological father was killed when he was still in his mother's belly. 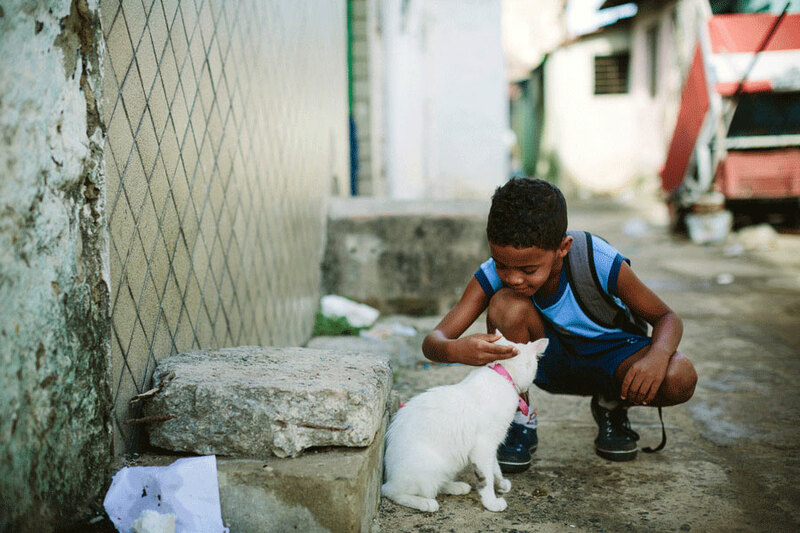 Emídio's story represents the story of many children who attend the Compassion centre in Recife: children who are victims of the drug dealing, gangs and violence hidden within the Brazilian Venice. But the grace of God overflows in these places over the lives of the little ones, through the actions of His servants, such as Adriana and the project staff. "God takes care of us,” says Adriana. 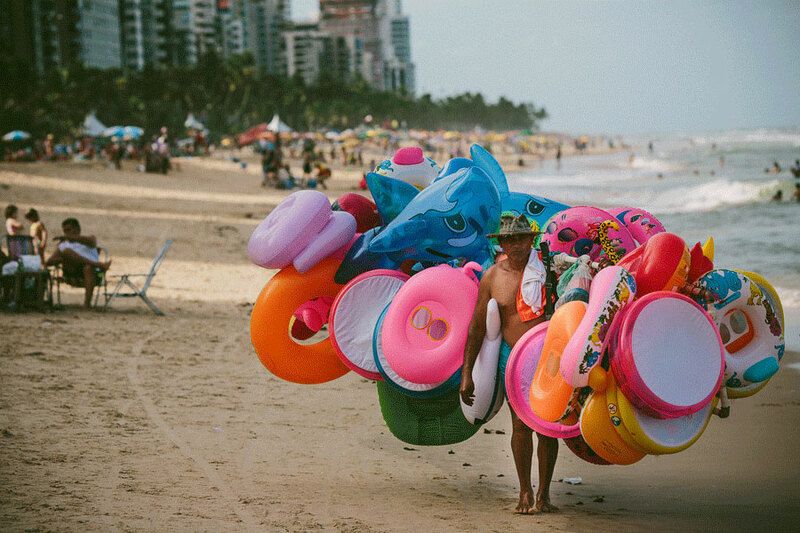 Recife is the capital of Pernambuco state in Brazil’s northeast; the country’s poorest region. 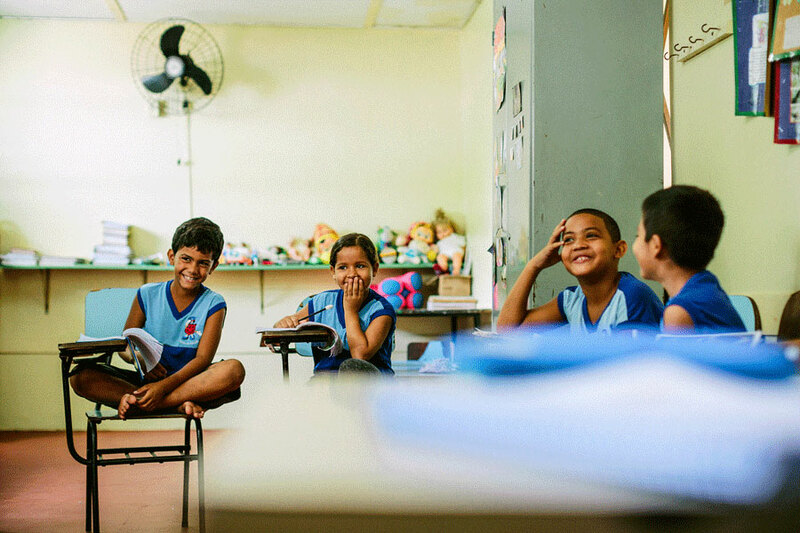 Compassion child development centres provide children with a safe haven to play and simply be kids. 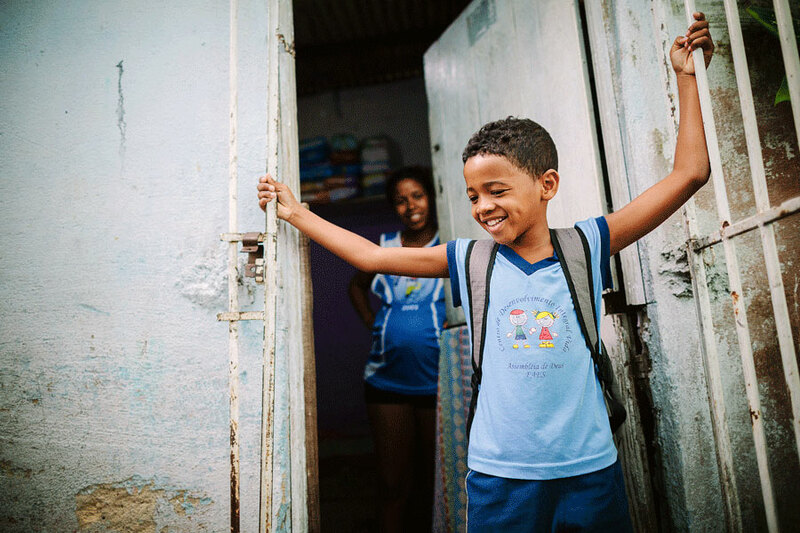 "Jesus is my father," Emídio says. Emídio ponders his lunch choices. 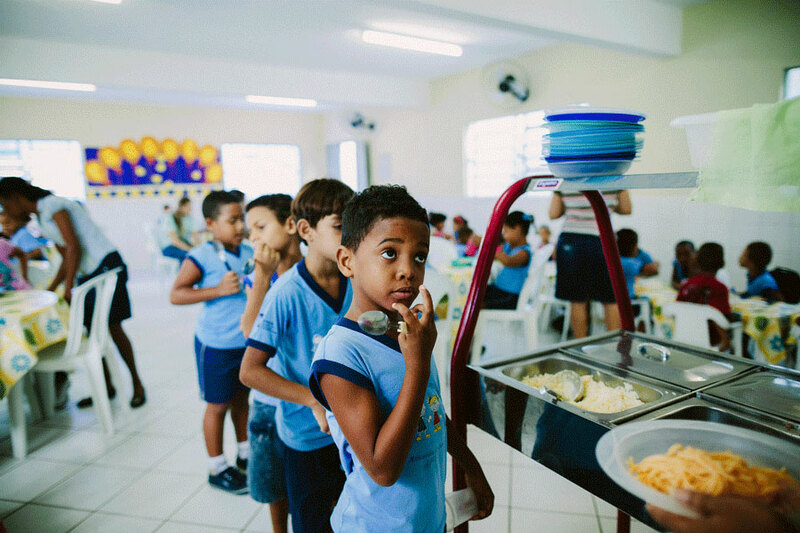 Each child in Compassion’s sponsorship program receives nutritional support. Emídio walks through his neighbourhood on his way home. 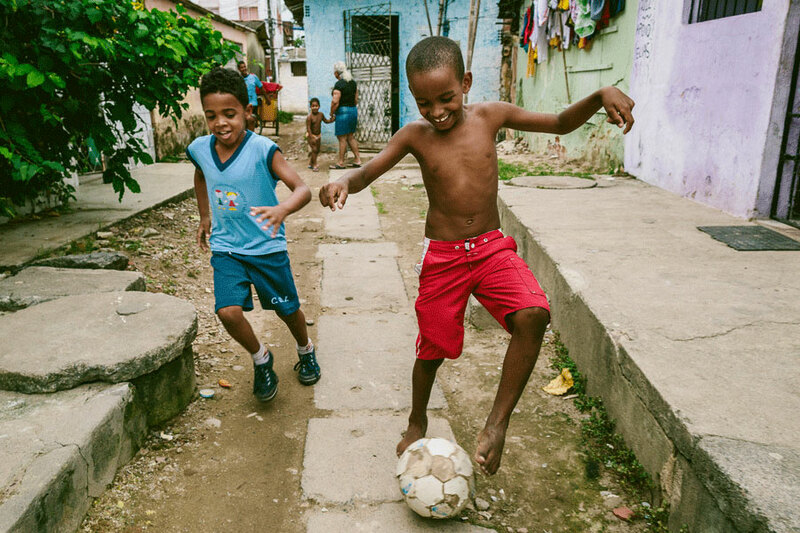 Like many Brazilian kids, Emídio loves soccer. He plays in the street with his friends. 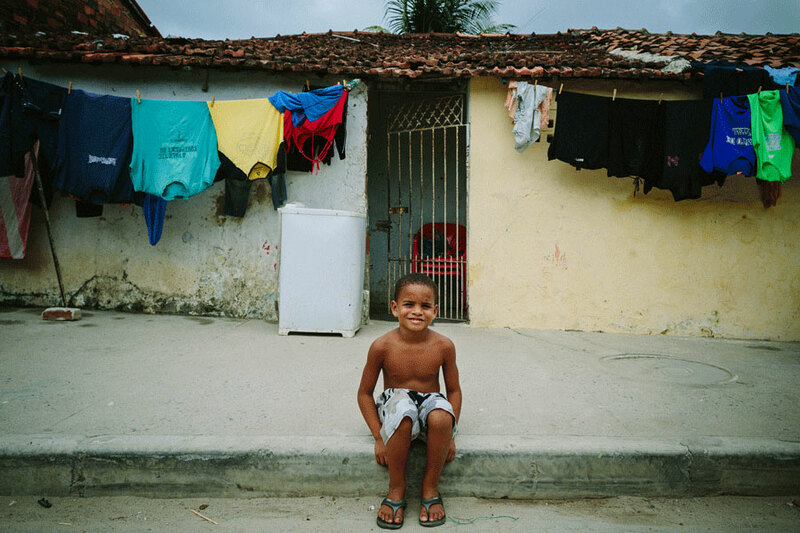 A young boy smiles outside his home in Emídio’s neighbourhood. 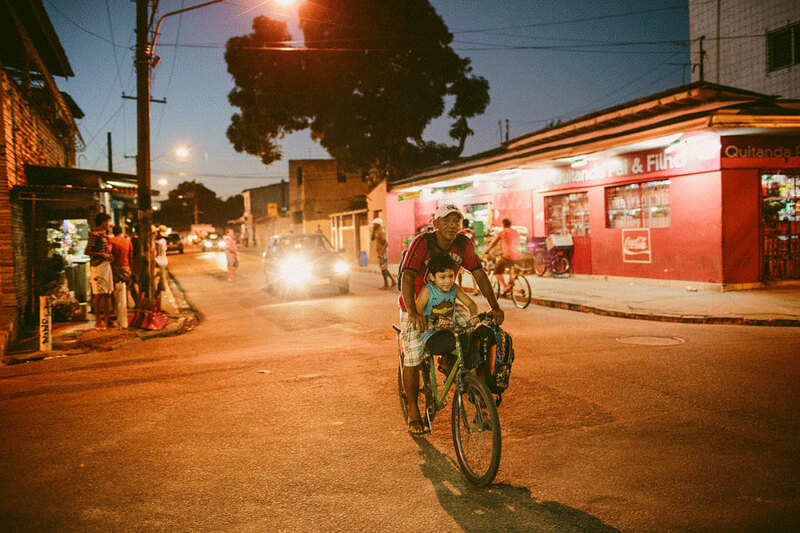 As night falls on Recife, a young boy hitches a ride home with his dad. 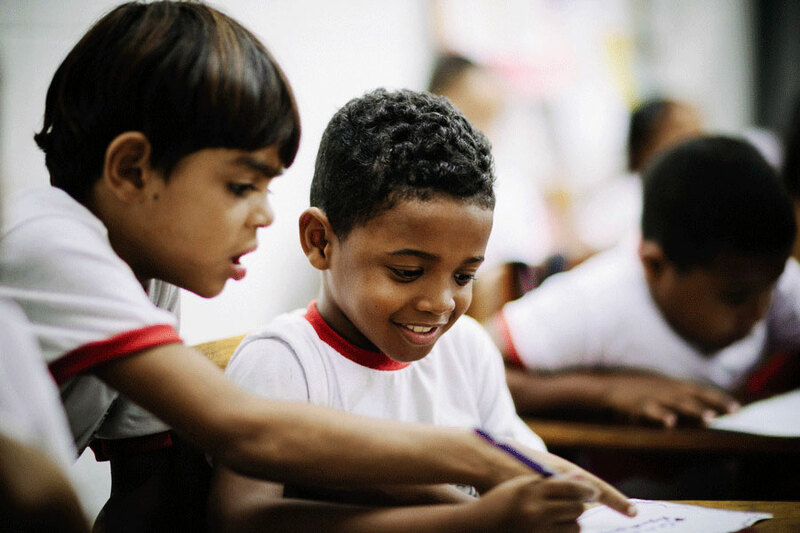 To impact the life of a child like Emídio, sponsor a child from Brazil. A version of this story originally appeared in the Compassion Magazine.